The largest-ever gathering of tropical biologists and environmental scientists to meet in Cambodia has expressed strong concerns about several development trends in the country, and in Southeast Asia generally. Over 300 scientists from 29 nations met in Phnom Penh this week, representing the Asia-Pacific Chapter of the Association for Tropical Biology and Conservation (ATBC). The scientists expressed their concerns in a document entitled the "Phnom Penh Declaration" (which you can download here). 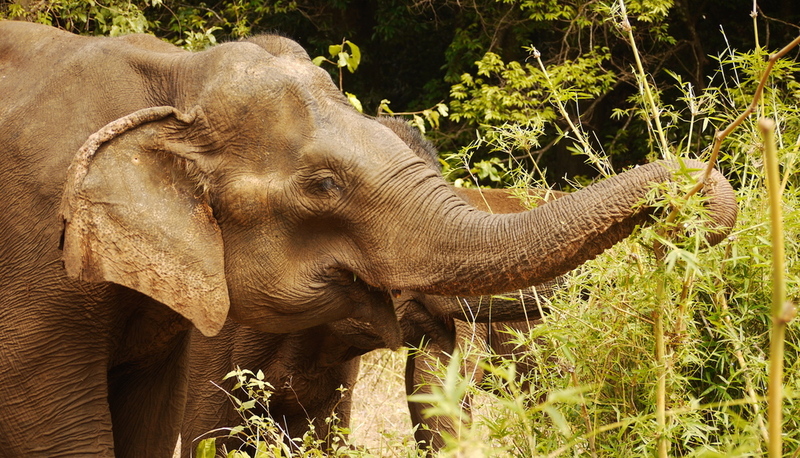 “We have a number of worries, but our most immediate concern is a proposed road that would slice through vitally important forest in Mondulkuri Province in eastern Cambodia, from Srea Ampos to Kbal Damrei,” said Seng Teak, Conservation Director, WWF Greater Mekong. “This road would clearly imperil one of the biologically richest forests in Indochina, an area that provides critical habitat for rare wildlife such as Elephants, Leopards, and Banteng, as well as over 230 bird species,” said Mr Teak. “Unfortunately, roads that cut into wilderness areas like that in Mondulkuri almost always open a Pandora’s box of environmental problems, such as illegal logging, poaching, and land clearing,” said William Laurance, a former ATBC president and director of ALERT. Laurance has studied the environmental impacts of roads and infrastructure across the tropics. “If we don’t, we could lose a lot of the wildlife and natural ecosystems that make Cambodia unique, and that form the basis of our thriving and highly profitable tourism industry,” said Teak.